This entry was posted in NativeScript, Security and tagged Encryption, Mobile, NativeScript, Security on February 14, 2019 by Nathanael Anderson. 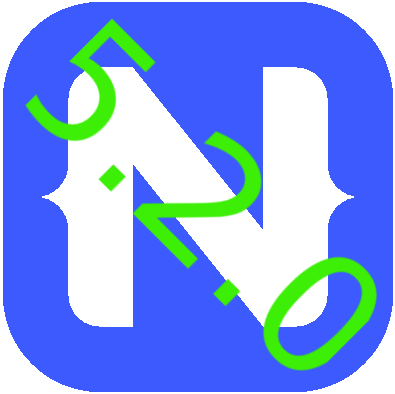 NativeScript 5.2 offers a wide number of fixes, and is well worth upgrading to. Checkout what has now been fixed and/or enhanced in this awesome release from the NativeScript team. One of the more interesting things for iOS is the In App Podfile and Src code support. Drop your any src code into the /App_resources/ios/src and/or a Podfile in /App_Resources/ios and your app will automatically build it with your app. So you don't need to create a plugin to test or embed things in your app anymore. Plugins still are good for reusable code; but sometimes you might just have a simple function or Podfile that you just want added to your app. In version 5.2 short imports have been depreciated; I do not know when they will no longer actually work; but basically things like require("http") are no long valid; you need to do require("tns-core-modules/http"). The primary reason for this is that webpacking requires the full path; and it has problems with short imports. - More bytecode embedded saving 200kb of memory per engine. OnDiscardedError handler now works properly. --debug-brk on iOS should be working again. Unit testing should work on Android again. Fixed High CPU usage issue. generate splashscreens should work again. HMR will now update styles. That will get you the latest version of NativeScript CLI; once you have it; do a "tns --version" and verify it prints out "5.2.x". Then do a "tns doctor" to verify your environment is up to date and has all the newest support tools you need for a successful build. Note: you need to have nativescript-dev-webpack as a development dependency for HMR to work. You will then need to install the actual angular bits; which as of this post v6 is currently supported. TNS --syncAllFiles still frequently crashes and you have to kill it when it fails. This entry was posted in NativeScript and tagged NativeScript, upgrade on February 13, 2019 by Nathanael Anderson. The first release of NativeScript-SQLite was April 19th, 2015 on GitHub, and April 26th to NPM. I am happy to say this plugin is now almost 4 years old, and it was one of the first plugins available to NativeScript. I believe there was two or three others released before, like NativeScript-Flashlight. By June of 2015 we had a grand total of 18 (eighteen) plugins in the NativeScript eco-system, where today we are at almost 1,000 plugins. NativeScript-Sqlite has had a lot of upgrades like encryption, prepared queries, and several bug fixes over the last 4 years. But the newest feature; I'm probably the most proud of. Without your app changing a thing (besides setting a simple option flag); NativeScript-Sqlite can now be fully multithreaded. What do I mean by that? In a nutshell all SQLite calls can now happen in a background thread. This means that if you are inserting or reading 20 records the UI won't freeze. A couple years ago I did a session on Performance and NativeScript; my sample app showed how doing several different things could freeze the UI easily; and the best way to deal with this was to move as much of your work to background threads. Now if you watch this image; every time I hit the SQLite button, the "n" freezes for a few seconds. This is because the work loading and processing the records is all done on the main thread which is the UI thread, causing the Animation to stop and/or stutter. Since NativeScript-Sqlite has always been Promise (and/or Callback) based ASYNC code; it ended up that I could preserve the entire API as is; when allowing you to use multithreading. You just need to set a flag when opening up the connection and it will become multithreaded. And this is what it looks like when sqlite is doing everything in a background thread. Notice how smooth it is. This is because the main thread is just waiting for the acknowledgement back that everything has been loaded. The open source version of the plugin can be easily installed by typing tns plugin install nativescript-sqlite@latest, the open source repo can be seen at https://github.com/NathanaelA/nativescript-sqlite. The commercial version which includes Encryption, transactions, prepared queries, and now multithreading can be purchased from my site at nativescript.tools. This entry was posted in NativeScript, Performance, Plugins and tagged Database, NativeScript, Sqlite, WebWorkers on February 12, 2019 by Nathanael Anderson.